Home > Our Blogs > Facing Canada > Big Ideas? Bigger Questions? Big Paper. Of equal importance to the content is the delivery strategy. 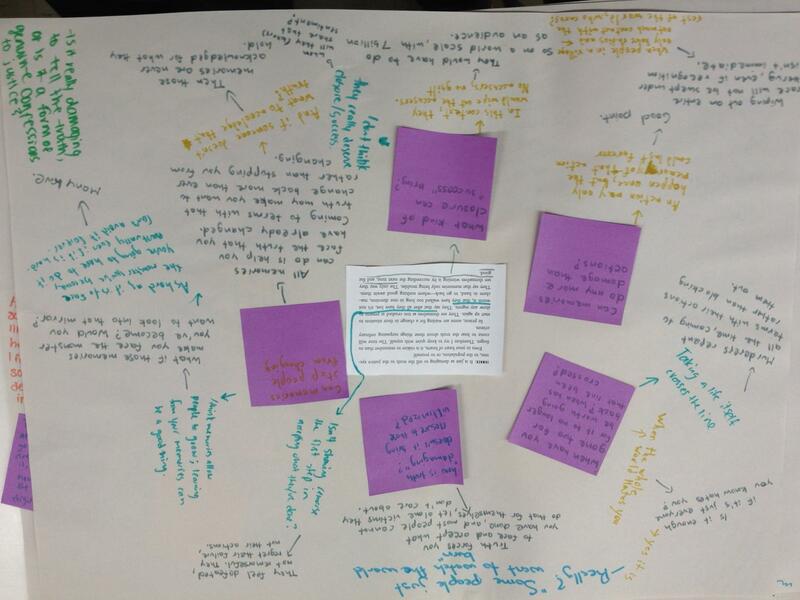 For this, I will go into detail on a Facing History and Ourselves strategy mentioned by Michael Grover in his blog Strategies for Teaching Facing History in 'Urban Schools' ; Big Paper. 1) Students have to slow down and write out their thoughts. This forces them to think differently about the words that they are “saying”. 2) Have those students who REALLY love to talk? They can; they just have to do it silently. 3) Have those students who REALLY hate to talk? This slows the conversation down and allows them a voice in a much less threatening situation. 4) Have both types in the same class? Perfect! 5) Want to have a written record of discussions available for debrief? 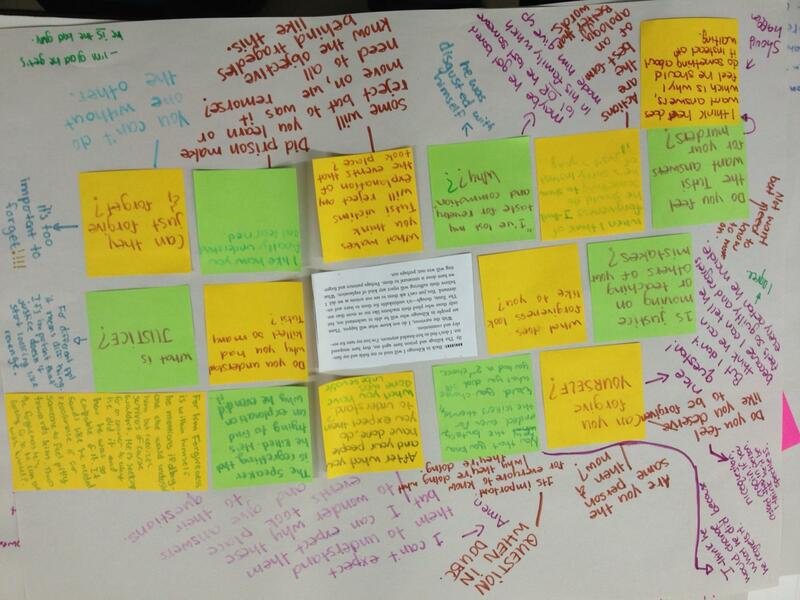 6) Want to use student generated ideas to frame your debrief? 7) Want students to have the opportunity to gather ideas, insights, and feedback in small groups from their peers before opening to large discussion? Then Big Paper is for you! I believe that I have now adequately gushed about Big Paper. If you have ever used Big Paper, or this inspires you to try it in your classroom, I would love to hear about your successes and struggles! 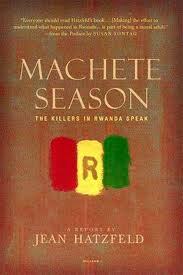 Click here > MacheteSeason < to see the excerpts that I used in class.